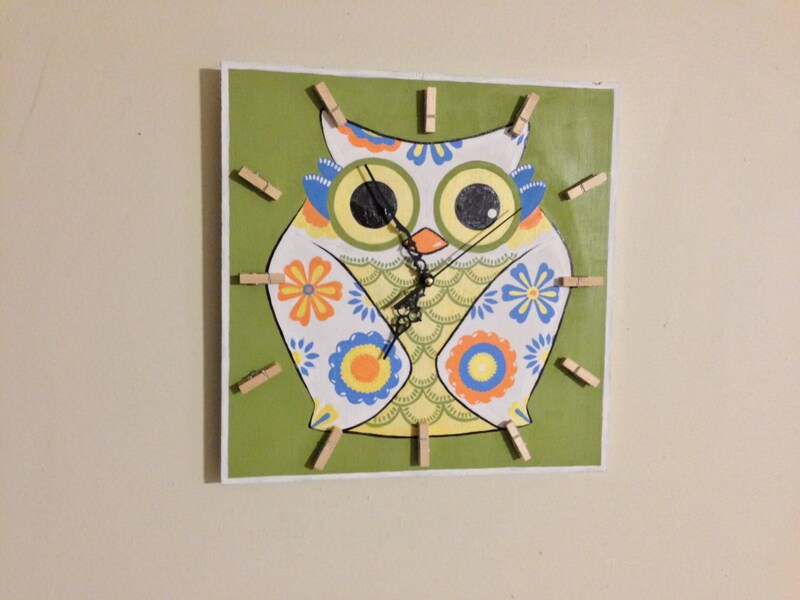 Wood square decorative OWL theme clock. 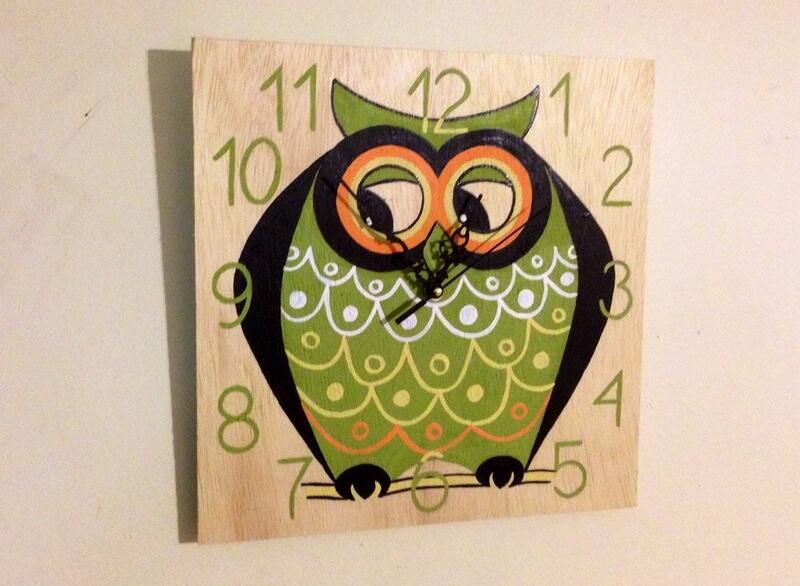 Will be FUN and Colorful addition to your kid's room, baby nursery. Christmas coming... Make a gift to someone or yourself!!!!! 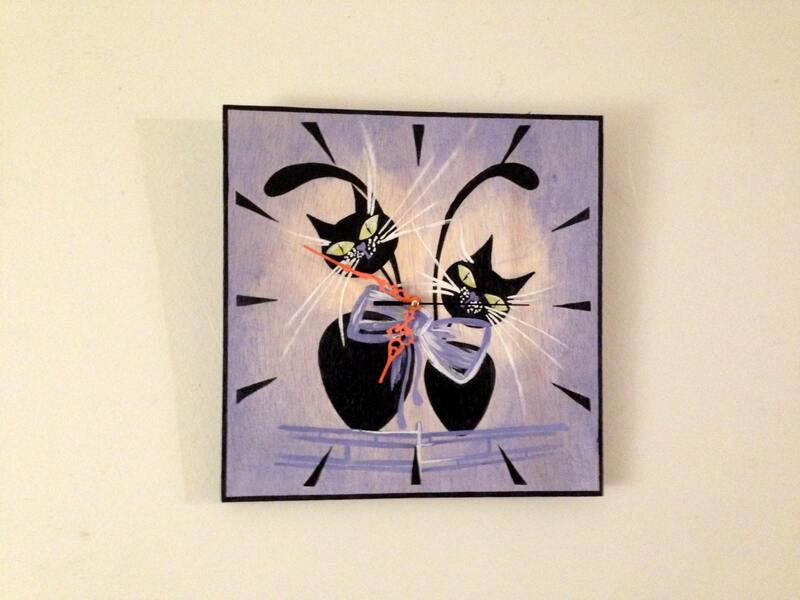 Approximately measures 12" x 12". Doesn't looks like a clock but like a wall decorative panel. Personalized it with names, date or special phrase. Any colors available to match your decor colors.